The babes and I met my sister, Jessica, for a little bagel brunch yesterday morning. 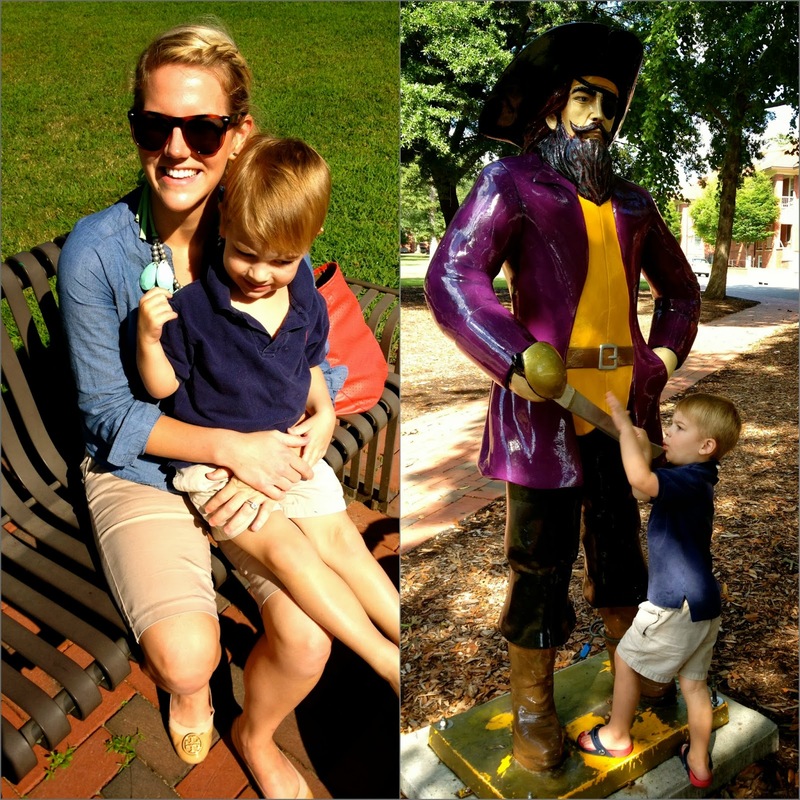 We met her on ECU's campus and, even though Charlie let out an "ewww, I like the Wolfpack school", we had a great time walking around. 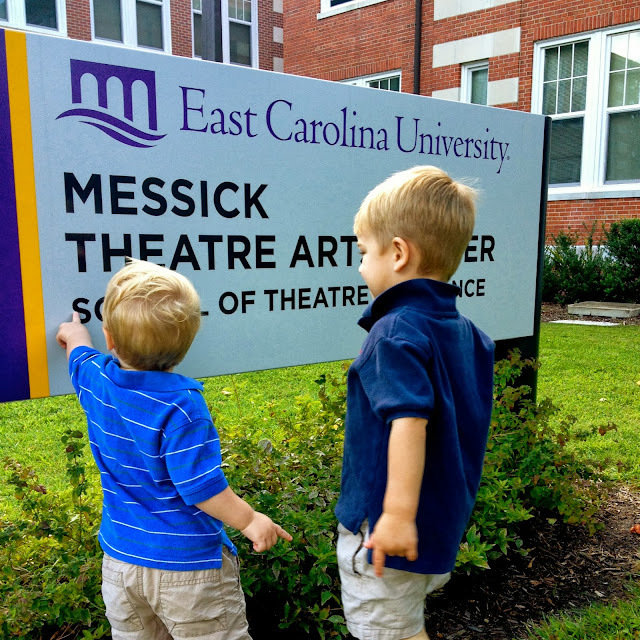 We stopped by the School of Theatre and Dance, my old stomping ground, and that, plus the beautiful weather, made for a great morning. I can't believe that it's been 6 years since I graduated....old lady status over here. Happy Fall everyone. I'm excited for a beautiful season! So fun to bring your kids back to your school! What a fun time! I love that Charlie said that, so funny!! ;) glad you guys had a fun time!! haha I love that Charlie is such a wolfpack fan!!! LOL Charlie! It's fun to go back and see how much has changed since graduation. I barely recognize Centennial Campus at NCSU, when I was there it was just a couple of buildings and us Textile folks were the only ones there. Of course that was 17 (!) years ago. Yikes! Aww I love how they're always holding hands! If you're an old lady, then I'm ancient since I graduated college 8 years ago, ACK! how fun! what great pictures! Your boys are so cute! How fun! And the weather has been wonderful lately. I hate how the years since college (or high school) keep creeping up. To me, it feels like that was just last year. I enjoy making trips back to my alma mater, too. It's nostalgic, but in a good way! love these pictures, those babes of yours are soooo adorable, as always! 1. I saw the title of this post and got very excited thinking this would be about none other than NC State University :)! 3. Sweet Charlie read my mind and stole my heart with his incredible line! What a fine young man you're raising, lol...no, seriously! 4. Who knew I'd have this much love for my university...it's sickening!